This post was sponsored by Mission Organics and The Daily Meal. All opinions are my own. 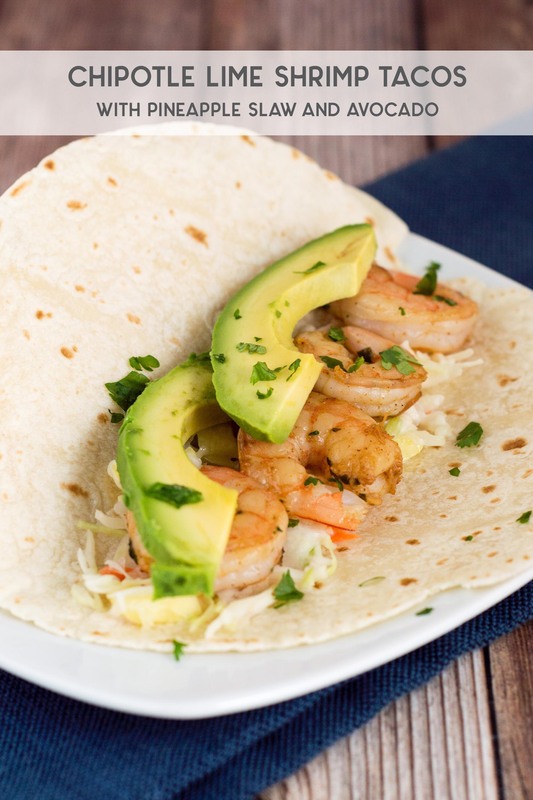 With a touch of avocado and pineapple slaw for some sweetness, these chipotle lime shrimp tacos are the perfect combination of spicy and fruity! I love tacos. I love beef tacos, chicken tacos, and vegetarian tacos. I’m starting to sound like my son’s book “Dragons Love Tacos.” I may have suggested a Dragons Love Tacos birthday party so that I could set up a taco bar. But unlike the dragons in that book, I love spicy tacos. These tacos are loaded with flavor. The shrimp is marinated in a mixture of chipotle chili powder and lime juice, then sauteed. 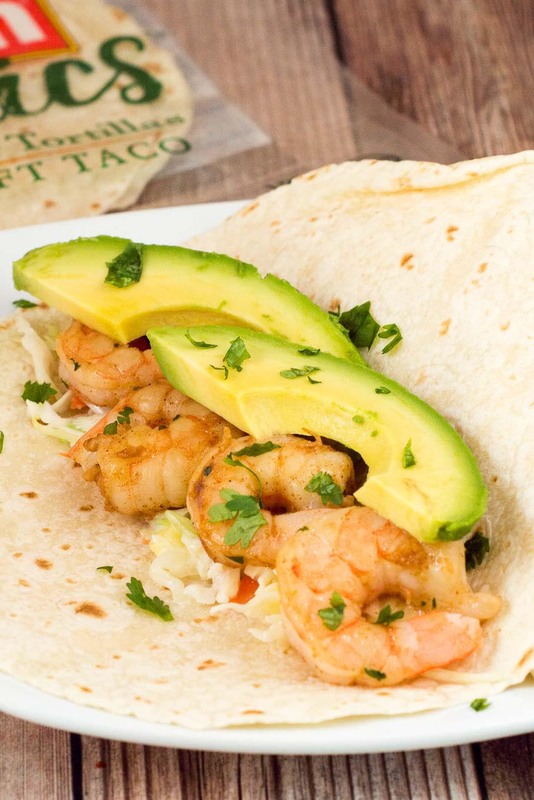 The Mission Organics tortillas are topped with a homemade pineapple slaw and sliced avocado. 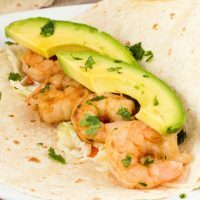 I love cooking with shrimp because they cook so quickly, which makes these tacos a great meal for busy weeknights. The pineapple slaw can be made up to a day ahead of time and stored in the refrigerator. Serve with cilantro brown rice, black bean and corn salad, marinated cherry tomatoes, or chipotle-roasted sweet potatoes for a full meal! Place the cole slaw mix, pineapple and shallot in a large bowl. In a small bowl, stir together the mayonnaise, vinegar, honey and pineapple juice. Season with salt and pepper to taste. Pour the dressing over the cabbage-pineapple mix, and toss to coat. Cover and refrigerate for at least 20 minutes. Place the shrimp in a shallow dish. In a small bowl, mix together the cilantro, olive oil, brown sugar, cumin, chipotle powder, lime juice and lime zest. Pour over the shrimp. Toss to coat. Pour the marinade over the shrimp. Cover and refrigerate for 20 minutes, turning the shrimp over halfway through. Heat a skillet over medium-high heat. Add 2 tablespoons of vegetable oil, wait until it’s hot, then add the shrimp. Cook until pink and opaque on the bottom (about 2 to 4 minutes), then flip and cook until the second side is pink and opaque. Transfer to a plate. 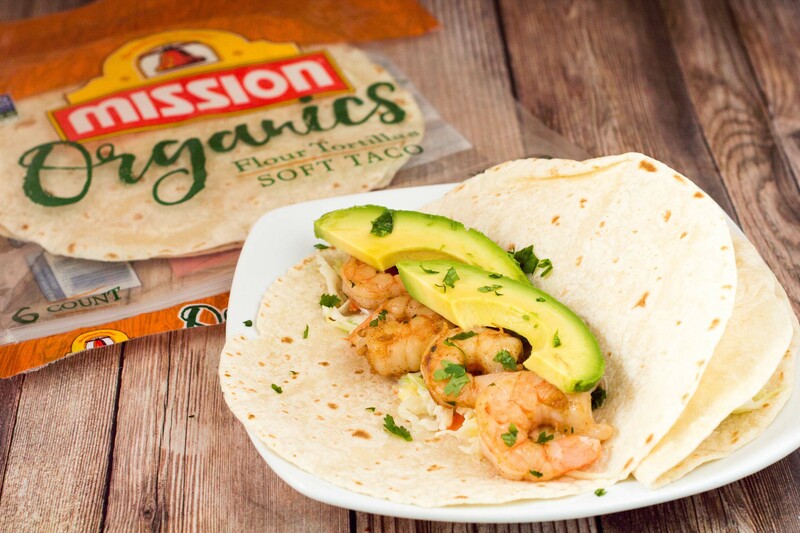 Stack 4 Mission® Organics Flour Tortillas on a microwave-safe plate. Warm for 20 second on high, then repeat with the other 4 tortillas. 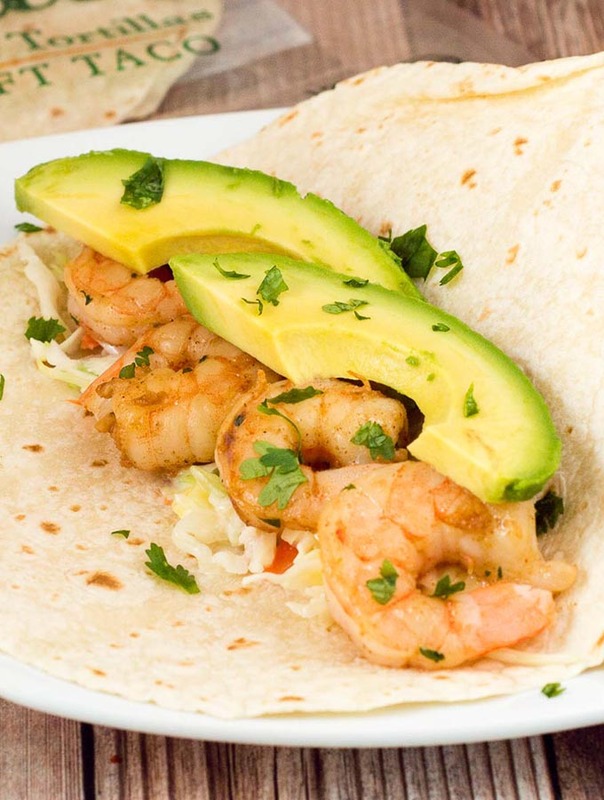 Spoon a few shrimp onto a warm tortilla, top with some of the pineapple slaw, then layer on one or two slices of avocado. Serve immediately.